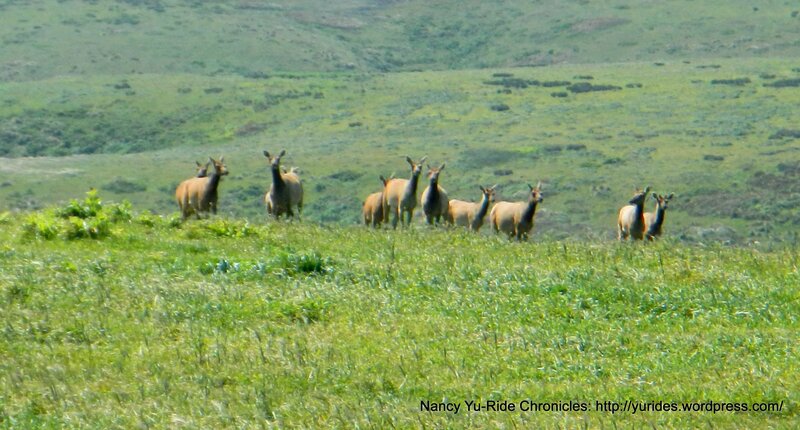 On our recent 2015 Spring trip around Pt Reyes National Seashore, we spotted separate herds of free-ranging Tule elk on the way out to Drakes Beach. They are magnificent animals to watch! Of the 45 elk transported to a holding pen for quarantine near Limantour Beach, 28 animals were cleared for release following screening for Johne’s disease. Johne’s disease, or paratuberculosis, is a chronic diarrheal disease of domestic livestock and can affect wild ruminants. After relocation from Tomales Point to the Limantour area, several elk were observed to have traveled across Drakes Estero where they established a sub-herd near Drakes Beach. 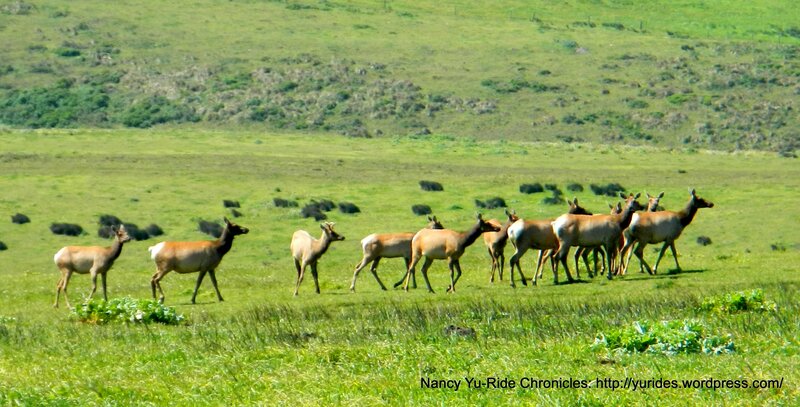 In 2012, over 55 elk inhabited the Drakes Beach area while over 65 remained in the Limantour-Muddy Hollow-Glenbrook area. 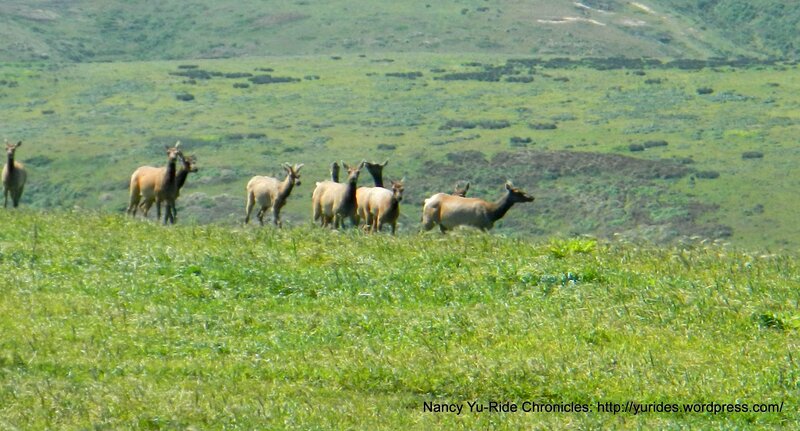 Opportunities for wildlife viewing have been greatly enhanced by the presence of these herds, and visitors can expect to view and photograph tule elk at Point Reyes even if they never travel to the far end of the park and into the Tomales Point preserve.